This pocket-sized and slim designs Gollan Tripod Mounting Adapter for Binoculars will allow you to use your binocular hands-free! 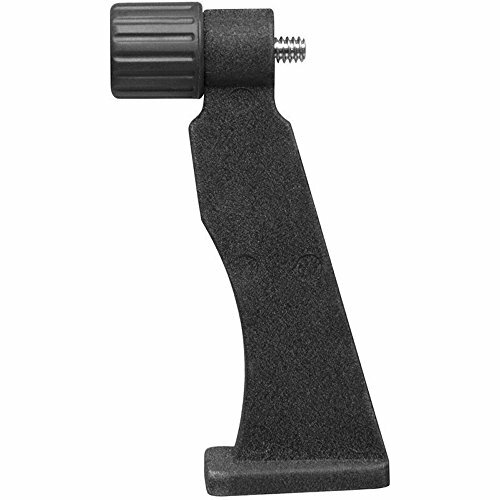 This sturdy adapter fits most binoculars, from small to large sizes. The screw piece is lightly greased for easy rotations and installations. Plus, the bottom socket is padded with rubber for extra stability. Bring Gollan Tripod Mount Adapter in your travels or various outdoor trips, from fishing, hunting, bird watching, wildlife watching or just a simple sight-seeing. This adapter will allow you to attach your binocular to your tripod and rest your arms while still keeping focus on your object. SOLID METAL ADAPTER WITH RUBBER-PADDED BOTTOM allows secure attachment of most binoculars to a tripod for added stability and convenience. HOLDS SMALL TO LARGE SIZE BINOCULARS on a tripod or binocular mount for comfortable viewing session. FIT ANY BINOCULARS WITH A TRIPOD SOCKET and fit to any camera tripod for easy installation and more versatility. LIGHT WEIGHT and fit in your pocket and most binocular cases. If you have any questions about this product by Gollan 888, contact us by completing and submitting the form below. If you are looking for a specif part number, please include it with your message.